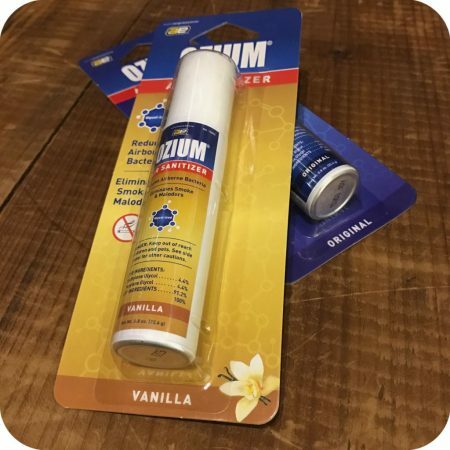 Posted on January 12, 2017 by Eugene Chung / This entry was posted in Informative, Product Reviews and tagged Air freshner, brooklyn smoke shop, Candles, Fresh, Odor Eliminating, Ozium, Smoke odor eliminating candles. Bookmark the permalink. If you’re a frequent smoker, you definitely have smoked your choice of legal herb inside the comfort of your home or car. This smoking ritual will leave behind a nasty, unpleasant scent that you may not notice, but your non-smoker friends will. If this is a problem that resonates with you, then stress no longer because Sunflower Glass Company has the solution for you! 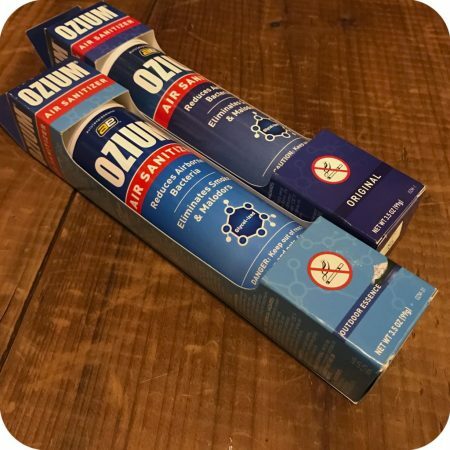 We have stocked up on Ozium aerosol air sanitizer, which will effectively eliminate bad odors anywhere it is sprayed and sanitizes the air you breathe. Each use will release a pleasant fragrance that kills odor-causing bacteria and converts smoke particles into clean, fresh air. We currently carry two sizes: 3.5 Oz & 0.8 Oz. 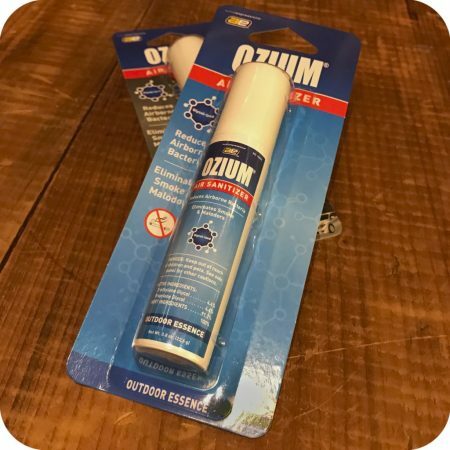 Ozium is known to be EPA approved and proven effective by bacteriological laboratory testing. It is designed to reduce airborne bacteria, and eliminate smoke and other odors. Additionally, its lighter-than-air particles remain in sprayed area for three to four hours, which attach to airborne bacteria and malodors to drastically reduce air pollution, purify and sanitize the air. 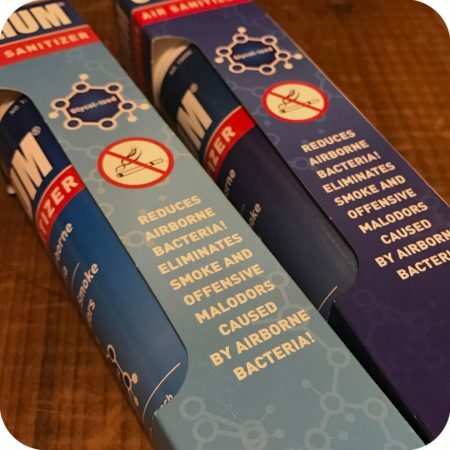 This means you can eliminate malodors caused by airborne bacteria from mildew, sink, drains, cars, bathrooms, dining rooms, living rooms, kennels, mobile homes, campers, sick rooms, garbage. storage areas, offices, nurseries, locker rooms, garages, closets, hampers, game rooms, studios, cabins, workshops, suitcases, bars, gyms, boats, etc. The application is endless! 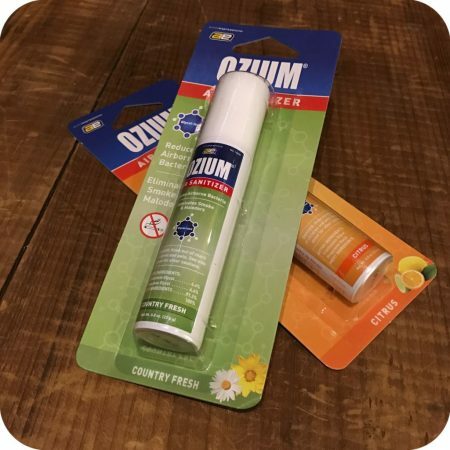 Note that Ozium is not a masking agent, but it effectively sanitizes air. Lastly, we have multiple flavors of Ozium, which are Original, “That new car smell”, Country fresh, Citrus, Vanilla, & Outdoor essence. Our second recommended product to purge that undesirable smoking fragrance is our Smoke Odor Exterminator Candles. These candles contain special enzymes which actually attack foul odors and eliminates them from the air. Regular candles just cover up odors and the smoke odor returns once you put the candle out. 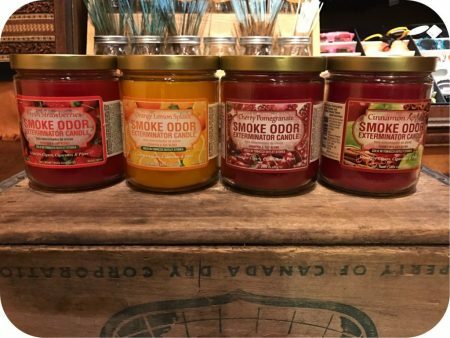 With the Smoke Odor Exterminator candles, you are actually removing the odors from the air and you can enjoy a pleasant fragrance, just like a regular candle. This makes it perfect to use after smoking cigars, cigarettes, and pipes. They are also great for fighting other odors like cooking, bathroom and pet odors. Each candle weighs 13 oz. and will burn for approximately 70 hours. These wonderful candles are available in four flavors: Fresh Strawberries, Orange Lemon Splash, Cherry Pomegranate, & Cinnamon Apple. 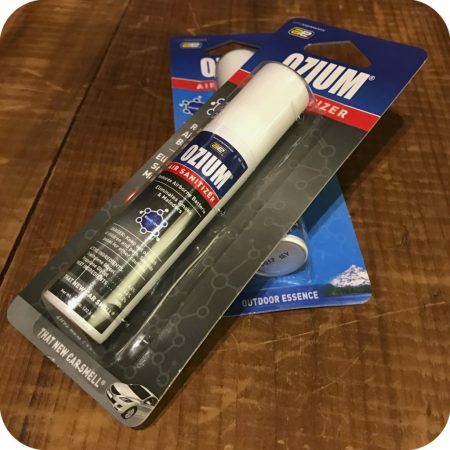 Whether you’re a smoker who is looking for new, effective ways to de-tox your living space/car or a non-smoker looking for a gift for your smoker friend, then look no further and grab an Ozium or Smoke odor Exterminator Candle today! Swing by either Sunflower Glass store location, or order online here!